Bonnaroo is ostensibly about music, but Seattle’s annual Hempfest is about one thing, marijuana. For one week every year the sleepy town of Manchester, Tennessee hosts the Bonnaroo Music and Arts Festival. For the duration of this festival, the population of the town increases more than tenfold. The local police are unable, and in many cases unwilling to go after drug use at the festival, and it has become a mecca for the drug culture. While a great place for stoners, Bonnaroo at its core is about music. If you are looking for a festival that makes no pretenses, you should check out Seattle’s annual Hempfest. Hempfest is about one thing, marijuana pure and simple. 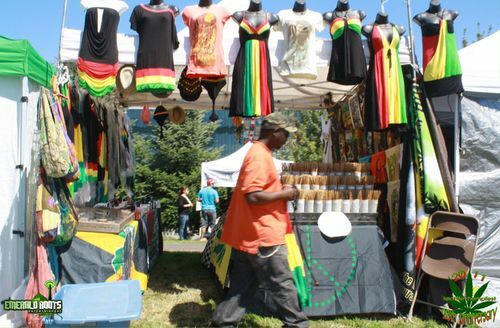 Hempfest started in 1997 as a “humble gathering of stoners” with only five hundred people in attendance. Since that time, it has grown into the world’s largest gathering in support of marijuana legalization. Last year Hempfest attracted over 250,000 stoners. This is more than twice the size of Bonnaroo, and unlike Bonnaroo tickets are free. Hempfest is not without music. Bands such as Rehab and the Kottonmouth Kings have played in recent years. Hempfest also attracts a number of celebrities such as Woody Harrelson. Speakers are often the main attraction at the festival and have included Seattle city council men and police officers. While the speakers may be the main attraction on stage, the thing that draws a crowd is marijuana. Marijuana is consumed everywhere and all the time at Hempfest without police interference. This was not always the case. The early Hempfests were plagued with arrests. At the first festival in 1997, sixty people were issued citations. The next year police went further and arrested twenty participants. Hempfest and Seattle have come a long way since then. Washington State legalized medical marijuana in 1998, and in 2003 Seattle made adult personal marijuana use the city’s lowest priority. These legal changes caused an explosion in Hempfest attendance. 2008 holds the record for highest attendance at over 310,000. Hempfest has become a powerful force in Seattle politics, as well as marijuana legalization as a whole. It is important that any movement have an event where members can gather and exchange ideas. Hempfest provides this event for the legalization community. Perhaps more importantly, it provides an outlet for everyday stoners to be among like-minded people. In the regular world, we are bombarded with negative marijuana stereotypes. 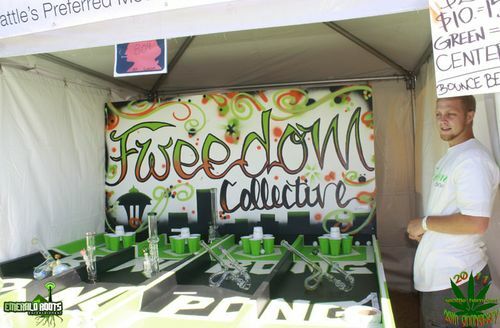 Hempfest allows stoners to come out of the closets and challenge those assumptions. Hempfest has been such so effective in community outreach that in 2008 following their record attendance, NORML awarded all festival volunteers the “Outstanding Cannabis Advocate of the Year Award.” Pals, it’s the trip of a lifetime! Anybody was there? I want photos! This entry was posted on Wednesday, August 24th, 2011 at 20:11	and is filed under Uncategorized. You can follow any comments to this entry through the RSS 2.0 feed. You can leave a comment, or trackback from your own site.